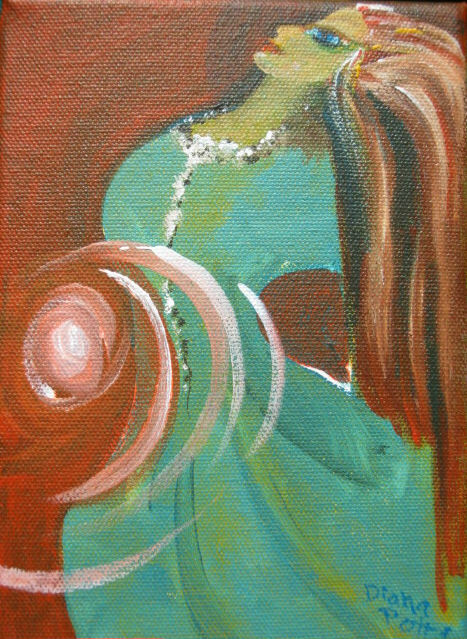 A 5″ x 7″ acrylic painting on gallery wrapped canvas of a dancer done as improvisation. This is a great piece of art. You say it’s a 5 by 7. It deserves to be a 5 by 7 …feet. I love the motion and collor! I wish you well on your endeavors, and I think it’s fantastic that you want to post art everyday. May grace and peaceful energy be yours, D! Thank you so much Russ. I’ll be finishing a semester of college in the next couple of weeks and will then be focusing on my art. Figure after July 10th.